Why Don’t I Enjoy Holiday Parties? If you are dreading all these “get-togethers” it could be because you are introverted. Simply defined, introverts are people that are recharged by spending time by themselves. People with this personality type are drained by large gatherings and the pressure to socialize for an extended period of time. Especially if that time is undefined. Introverts are not necessarily “anti-social” they just don’t always fit into the social butterfly mold that extroverts do. Extroverts are recharged by being around people. 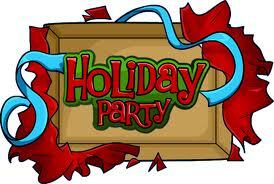 Interactions with people are what keep them going, so holiday parties can be much more enjoyable for them. So, don’t beat yourself up with holiday parties this year and remember that it is acceptable to take steps to avoid feeling overwhelmed. You are not the only one that feels that way! « More than Holiday Blues?